*Spectacular Ocean & Golf Course View from the largest floor plan in Coronado. High Floor, Corner Unit w/ Screened Balcony & Impact Glass, Renovated Open Kitchen w/ Granite, Stainless Steel Appliances. Neutral Tile. Brand new Renovated Modern & Fresh Hallways, Pool, Sauna, internet & Cable Included, Shuttle Bus, Garage Parking Space #182 plus 2nd space available for $535 / yr, Assigned Storage unit on same floor. AC 2011. Paid off Assessment. Comes with Home Warranty. 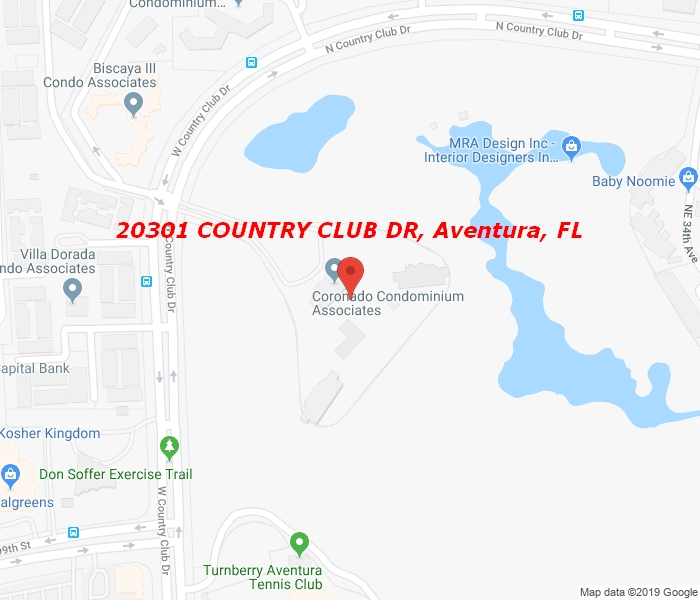 Gate Guarded Complex right on Country Club Drive, walk to Aventura Mall, only Service Dogs allowed, Min 2 years lease period, no leasing first year. Conv Financing Available, budget has reserves.